The headline photo says it all. 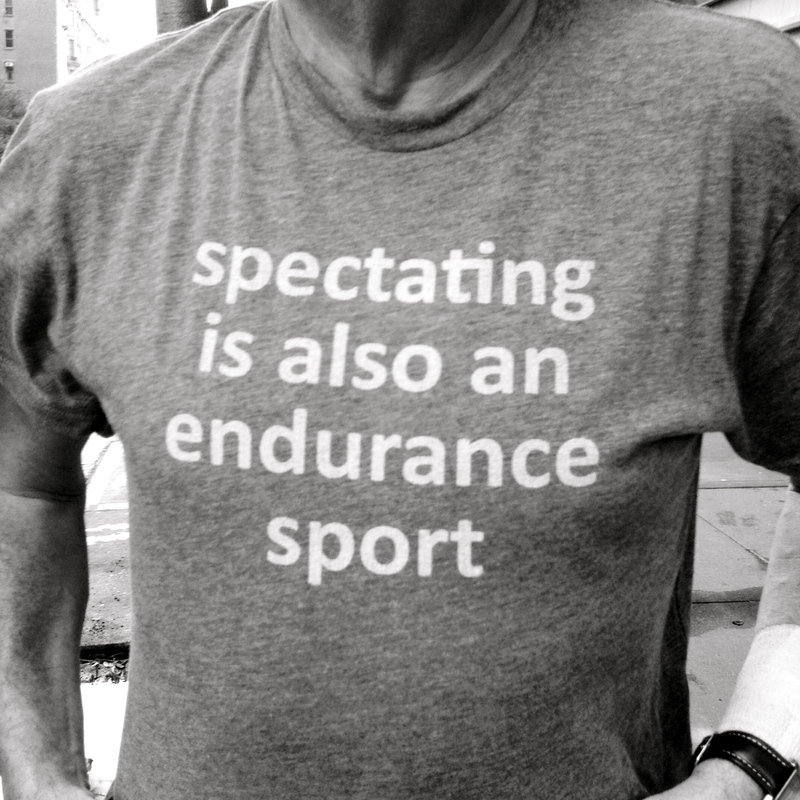 Spectating is an endurance sport! 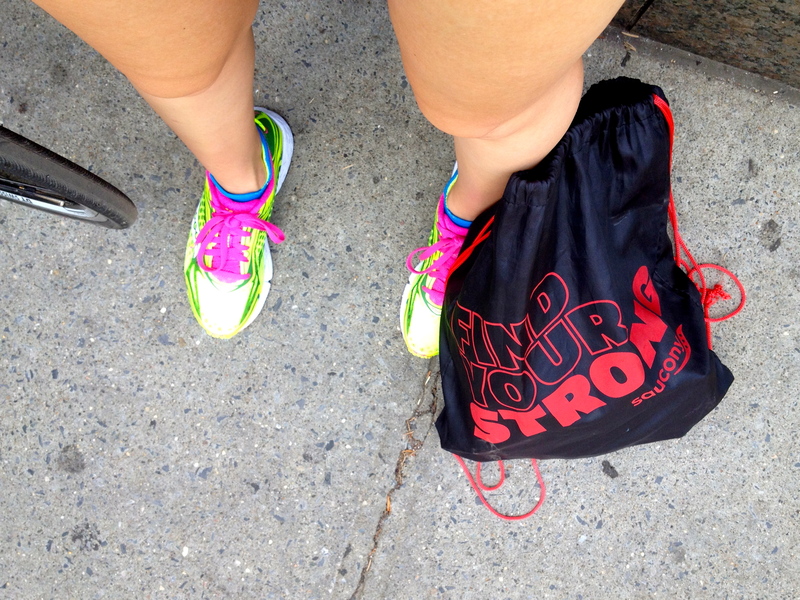 Last Sunday was the Aquaphor NYC Triathlon. 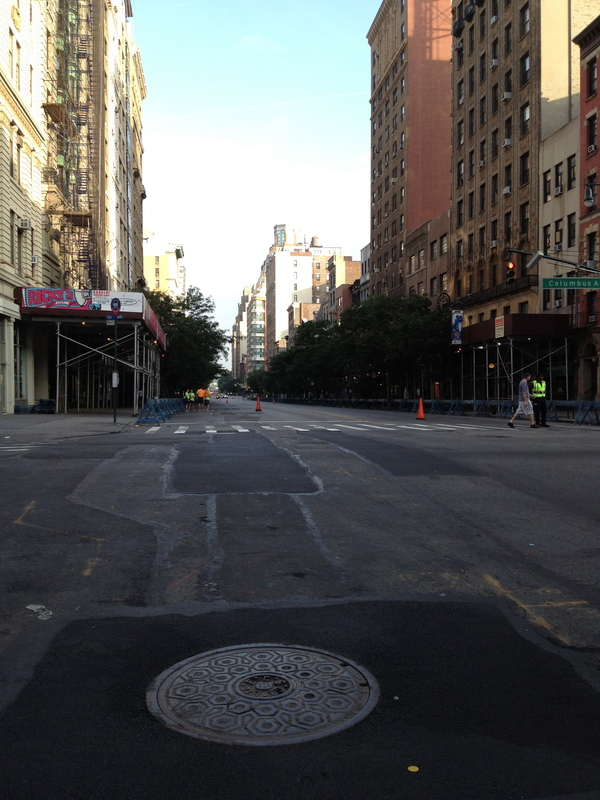 I spent five hours cheering at the start of the run course at the Team Up Autism Speaks and Team In Training outposts. Am thankful for Elizabeth, Jen, and Carolyn for their enthusiastic company! So much fun cheering with you, ladies. 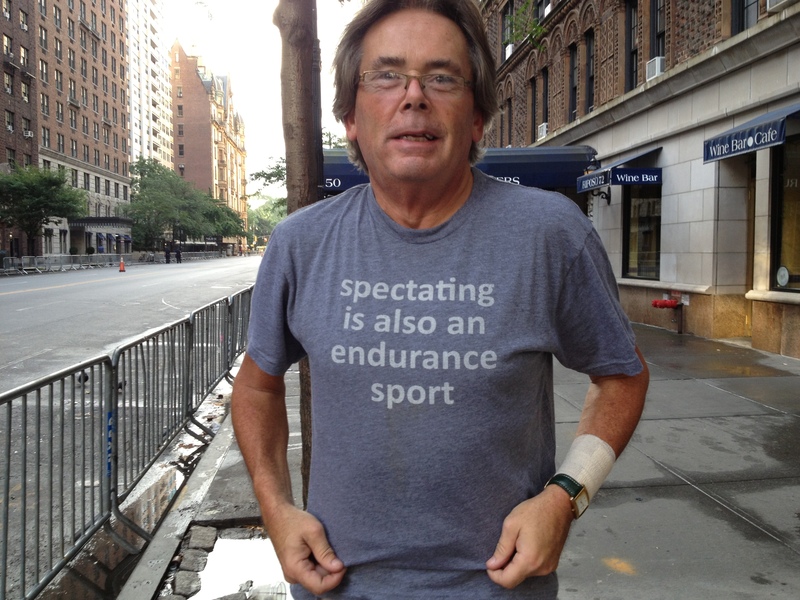 And, am grateful to not only see the lead male and female sprint past, but to cheer on dear friends racing that morning. 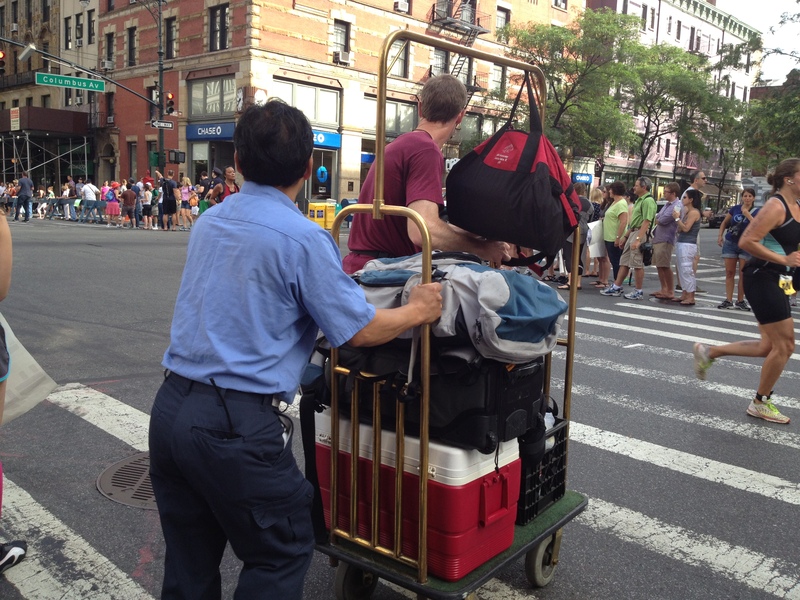 Props to you – it was crazy hot out. You are all an inspiration! 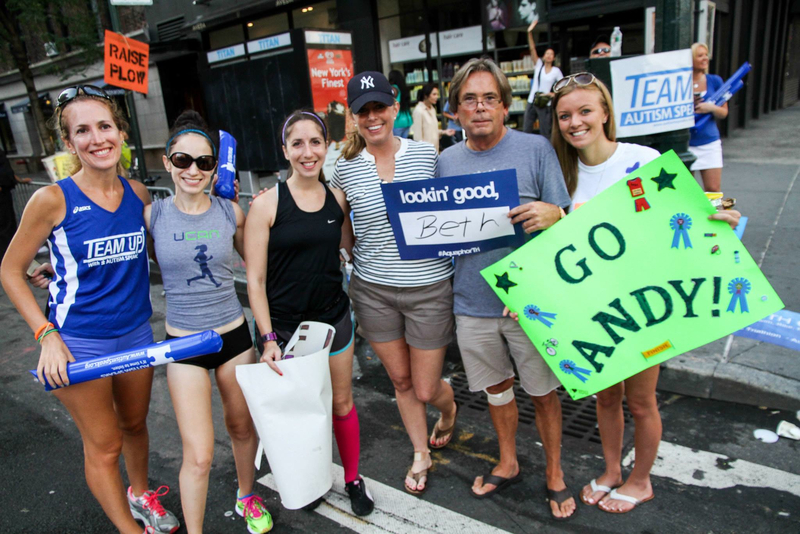 Dad of a Team Up with Autism Speaks NYC Tri athlete. 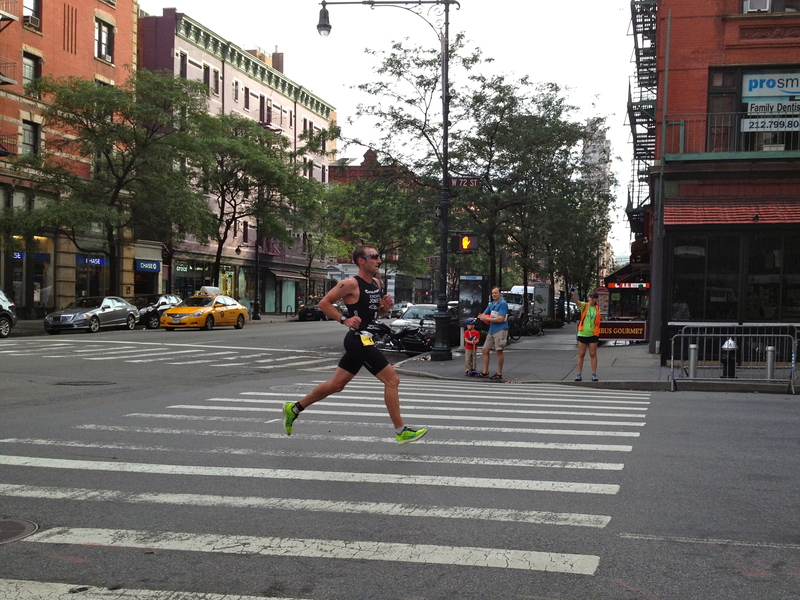 Jordan Jones, winner of the NYC Tri, in the lead on W 72nd St.
Dude running in a speedo. 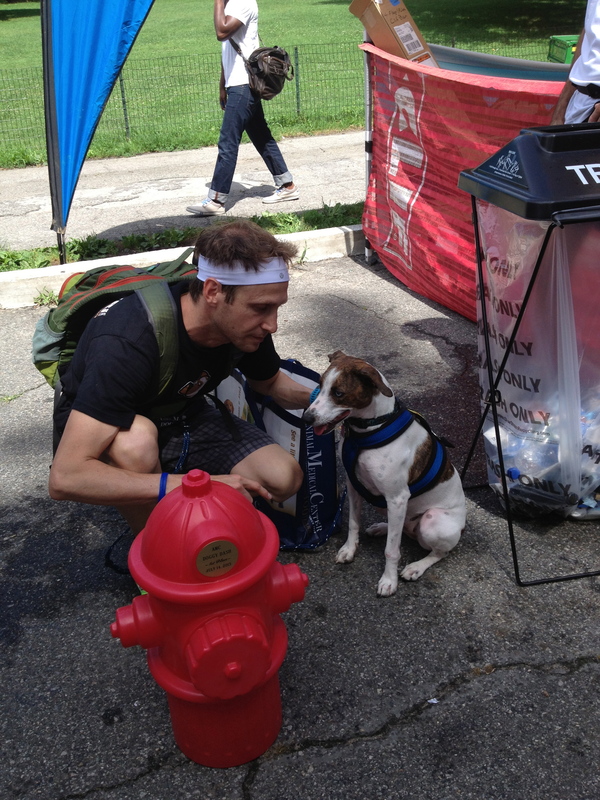 Jenna Parker, lead female at W 72nd St.
Terence and Tes, winner of the NYC Tri Doggy Dash. Way to get out there and cheer them on! It definitely is. I volunteered for this great event and spent many hours trying to motivate my fellow athletes. Great photos! 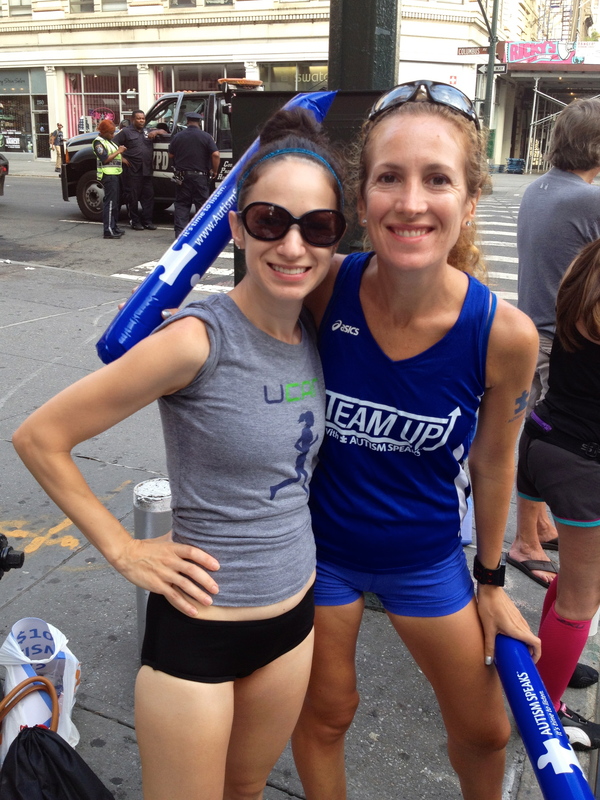 I know it is a few years later… but thanks for coming out to cheer! You have no idea how much it means to everyone, including the pros to have the support! Best in all that you do.